I just got home from the cinema and we saw Warm Bodies starring Teresa Palmer as Julie and Nicholas Hoult as R.
You probably look at R and think: “wait, that guy looks familiar” well, that’s cause he is. 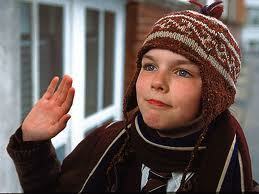 He was this very cute weird kid in the 2002 Hugh Grant film, About A Boy. Cool trivia huh? Yeah. I’m cool like that. Anywho, my Facebook friends have been raving about it plus I saw an interview of Nicholas Hoult in E! News so I wanted to really see the flick. So today, I convinced some of my work friends, went to the cinema, got out and found myself totally loving R the zombie shrugger. SIGH. R: I don’t want to be this way. I am lonely, I am lost. I mean I am literally lost, I have never been in this part of the airport before. I think it’s safe to say that R felt empty inside his dead self. He wanted more out of his “life” so he listened to records and longed for interaction. Then one day, he went with his best friend M, who he bonded with over grunts, awkward stares, and almost exchange of conversations, to search for food = brains. That’s when he saw Julie. Just like any individual who sees the love of his life for the first time, the world was suddenly in slow motion and there was music, until of course he was shot by Julie’s boyfriend. Julie was a part of a human group that rounds up supplies for the living people. Her dad is like the head of the squad that keeps everyone safe, kinda like the military. Because I wouldn’t want to spoil the movie, the gist of it all is that R is going to save Julie from being a zombie. He’ll take her back to his “home” keep her safe and after that everything is going to change… forever. HAHA! 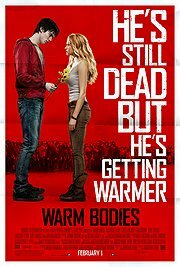 I’m not really a zombie movie fan, with the exception of Zombieland of course, but I gotta say, Warm Bodies was a great watch. It’s different, funny, heartwarming, and as we Pinoys call it kilig much! I love R because he’s so endearing, for a zombie that is, he acts like a normal human being around a girl he likes. He’s awkward and cute at the same time. 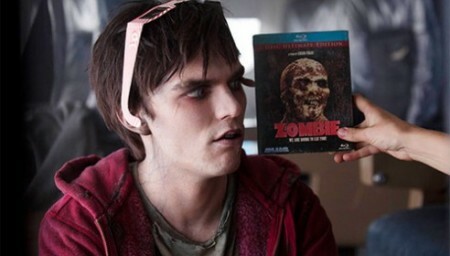 You identify and relate to him and who knew you can relate and identify to a zombie, right?! Aside from it’s plot, the soundtrack is also great. The supporting characters like Nora played by ANTM Cycle 11 top 3 Analeigh Tipton, which was also in Crazy, Stupid, Love as the nanny BTW, and M a.k.a. Marcus played by Rob Corddry (Hot Tub Machine) provided comic relief. Analeigh has great comic timing, I must say. Anywho, so there, overall it’s an awesome feel good movie. Great review and a pretty awesome blog in general – consider yourself followed! 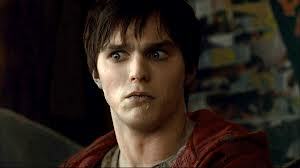 Looking forward to checking out Warm Bodies – heard only good things! Hello there! The movie’s awesome. 🙂 Thanks for the follow BTW. 🙂 Cheers!